The most common question an estate agent is asked is ‘what’s the market like?’. If you read everything that’s in the news at the moment regarding the UK housing market then there’s a good chance that you’ll fear that no one will ever sell a house again and that it’s all Brexit’s fault. Whilst we can’t comment on the whole country and wouldn’t presume to contradict our esteemed economists, after all, they’ve never been wrong before (ahem), it does seem that everyone has very short memories and have forgotten that a correction in house prices is a pretty regular occurrence and that a raging housing market for too long is rarely a good thing. So, let’s get some facts straight about the local market. Houses are still selling, it’s just taking a little longer and prices aren’t rapidly rising, although still higher than twelve months ago. 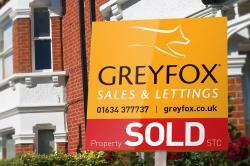 In addition there are fewer buyers around as the buy-to-let market and overseas buyer numbers have diminished. Neither of these are necessarily a bad thing. Finally, a first-time buyer has time to look at a property a couple of times and make a considered purchase without competing with another forty people and without mild indecision costing them thousands of pounds. This hasn’t been the case for many years now. If I were a first-time buyer then this is exactly the type of market in which I would look to buy. As for sellers looking to move for reasons other than profit, genuine reasons like having a baby, down-sizing, job moves, wanting a house with a garage, needing a bit more space, needing an annexe for a relative, essentially all the reasons that we really need to move house, this is exactly the sort of market to move in. By the time you’ve agreed a sale the housing market hasn’t moved on so fast that it’s no longer feasible to move. You’re not finding it impossible to secure a property to buy because of too much competition and the process does not have to be conducted at quite such a breakneck pace lowering the potential stress levels. Let’s also look at the other positives to a calmer property market. Interest rates are still low and don’t look to be increasing hugely any time soon. This allows savvy buyers the opportunity to make overpayments on their mortgage and become mortgage free sooner in life. Property prices always rise over time as there still isn’t enough property being built to fulfil long term demand, with property values in some areas, fifty percent higher than ten years ago, coincidentally the last time the market suffered a correction. If you’re upsizing then you don’t want rapidly rising house prices, as the gap in monetary terms between your purchase price and sale price is forever getting greater. In fact, if this is your situation, you might actually be better off long term if house prices were to stay level for some time. Obviously, this type of market doesn’t suit everybody but there are many advantages to it if you’re willing look beyond the headlines. Moving house is a complicated process and we feel it’s important to look at the bigger picture about your personal circumstances and not only what your house is worth.